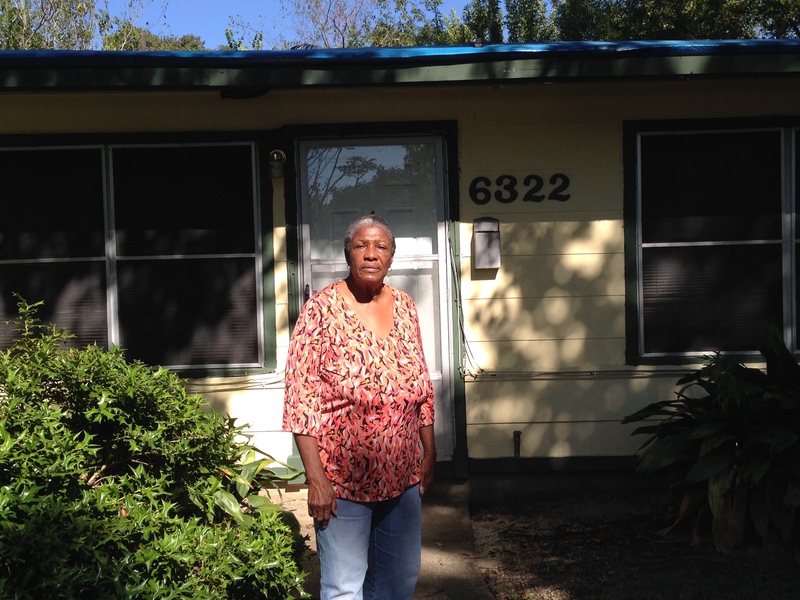 Vallia Huff, who lost her roof after hurricane Ike, was one of the first Houstonians helped by the city through a repairs program. Back in 2008, hurricane Ike damaged thousands of homes as it swept across the Houston region. Eight years later, hundreds of properties have not been repaired. Many can be identified by the blue tarps still on the roofs. Vallia Huff lived in one of the houses with blue tarps. Vallia Huff, a retiree who lives in south Houston, lost her home’s roof after hurricane Ike swept the region, back in 2008. Ike’s strong winds knocked over a big tree onto Huff’s roof and, despite working hard on temporary fixes, she had to deal with water leaks for eight years. Multiple water-caused stains in her home’s walls and ceilings gave proof of the problem Huff was dealing with. 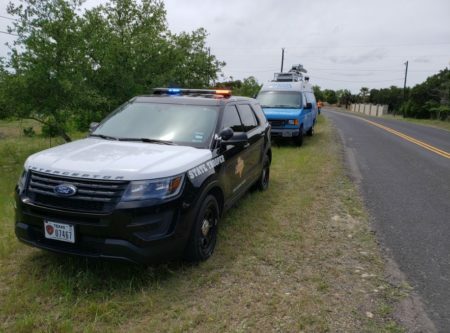 “The scariest part about is the water is coming in on the electrical wiring and I’m afraid to put on the porch light because it might short out and then I have a house fire, and then I really would be in bad shape because I have nowhere else to go,” she told Houston Public Media back in September, when we visited her at home. Huff had a rough time with the torrential rains of 2015 and 2016. “It would just be a joy that when it rains I don’t have to move furniture, I don’t have to put a plastic bag over my head and it would be just a good feeling,” Huff explained when asked how a new roof would change her life. 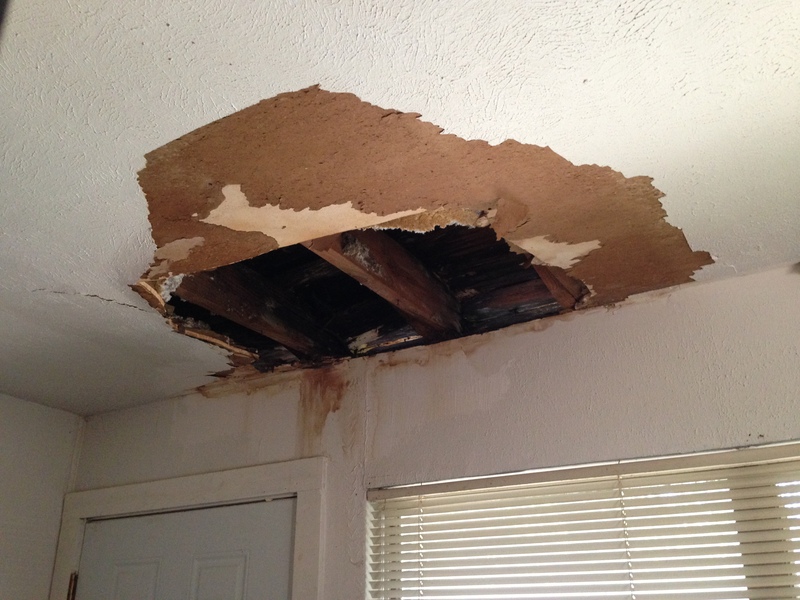 Multiple water caused stains and holes in her home’s ceilings gave proof of the problem Huff was dealing with. Besides, the damage was not limited to the structure of Huff’s home. We asked Huff about why she hadn’t been able to get a solid roof over her head for such a long period of time. She had a host of reasons to explain it. First, Huff says her insurance company made a mistake and her homeowner’s policy didn’t cover the repair after the devastation Ike caused. Then the Federal Emergency Management Agency (FEMA) denied her financial assistance. 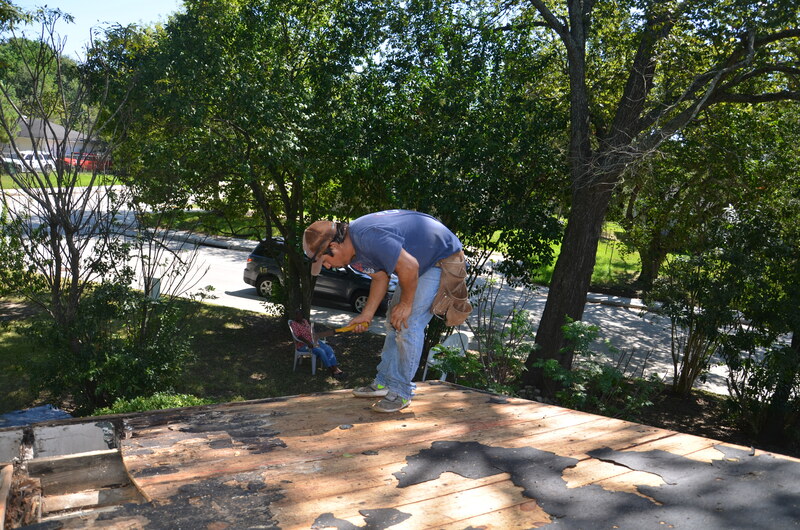 Workers from a roofing company hired through the program launched by the City of Houston put a new roof on Huff’s home at the end of September. According to Huff, FEMA inspectors concluded the damage to her home was a pre-existing condition. After that, she turned to the non-profit Rebuilding Together Houston. Huff was told they didn’t have sufficient funds to replace her roof. And without enough cash on hand to pay for the repair herself, she learned to live with a leaky roof. 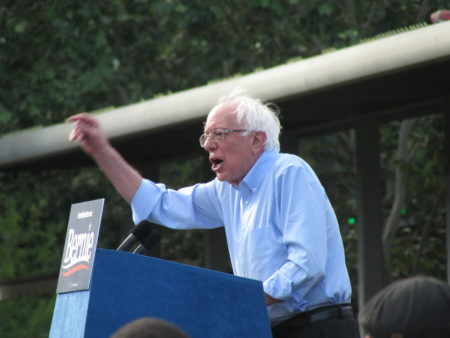 “You’re sitting up trying to have a halfway decent home and you can’t,” Huff lamented. However, things changed with the election of Sylvester Turner as Houston’s Mayor. Turner is following through on a campaign promise to eliminate the blue tarps from the city’s landscape. 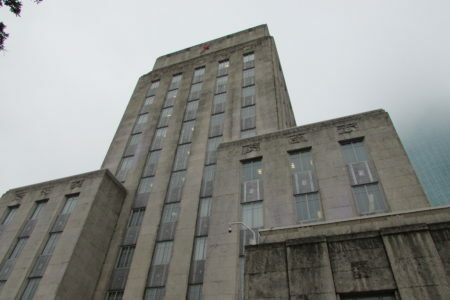 “From day one I’ve talked about building complete communities and a part of building complete communities is taking homes with blue tarps on them from hurricane Ike from 2008 that have not been repaired and that are needing to be repaired and are simply deteriorating in front of us,” Turner noted in a press conference shortly after announcing the launch of the roof repairs program, back in September. 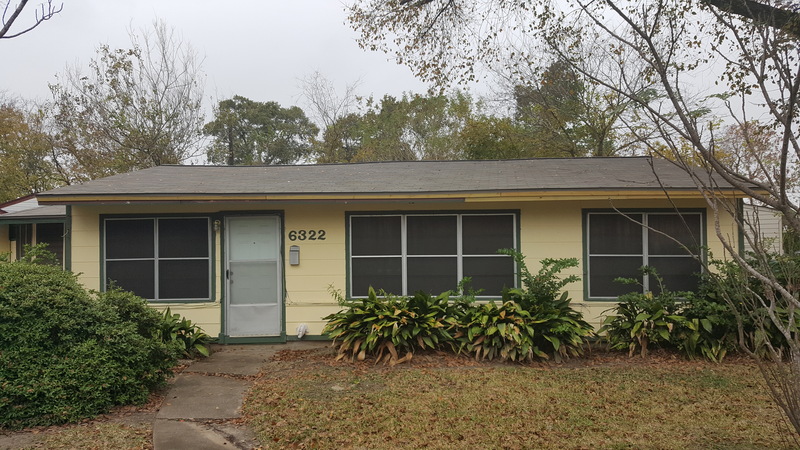 At that time, the City of Houston identified more than 500 houses with blue tarps and allocated about two million dollars to repair at least 200 of them, with additional funding as needed. Turner said the rest were properties with worse levels of damage that would have to be rebuilt or demolished. Ironically, Rebuilding Together Houston is the city’s partner for the program. One of the first homes approved for repairs at the end of September was Huff’s, a retiree who lives by herself. Huff is a native of East Texas who was born on Christmas Day in 1938. 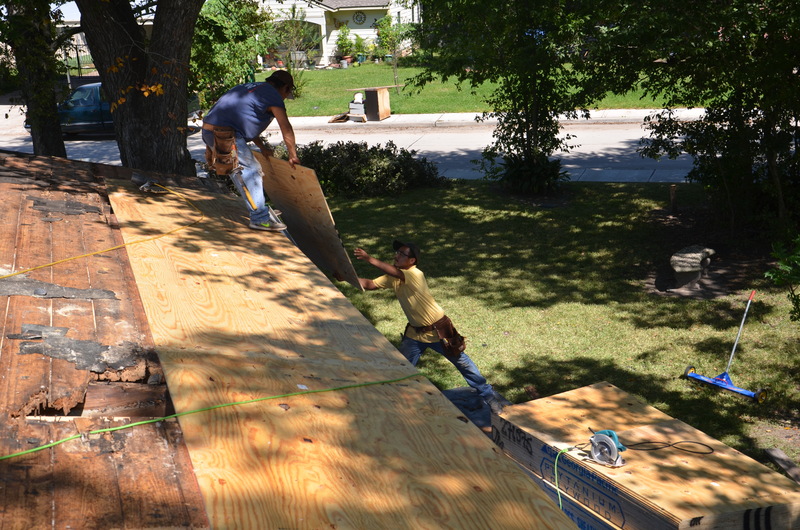 The day the new roof put an end to her eight-year ordeal, Huff had a simple wish. “I’m going to fix me some ginger tea, sit back and put my feet up on my yard and look at my roof,” she said with joy as the repair crew worked on her property. After eight years of not having a solid roof, this is how Huff’s home looks now.